NEW YORK (CelebrityAccess) Fleetwood Mac, the MusiCares Person of the Year,, raised $7 million at annual charity event at New York’s Radio City Music Hall Jan. 26. 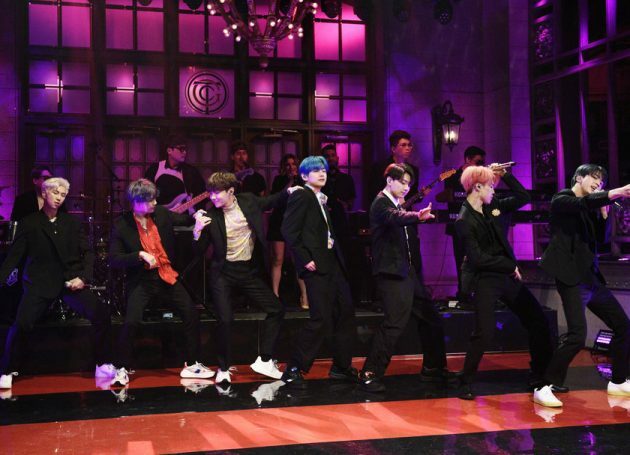 The awards show took place in New York City for the first time in 15 years, just like the Grammy Awards show, which also moved to NYC this year and is scheduled for Sunday night. “Not very far below the level of dysfunction is what really exists and what we’re feeling now more than ever in our career, which is love,” Mac’s Lindsey Buckingham said onstage, according to the Associated Press. The band five songs at the benefit show, including “Go Your Own Way” and “Tusk.” The show began with tribute performances by acts like Lorde, OneRepublic, Miley Cyrus and Stevie Nicks’ friends, Haim. In attendance were Bill and Hillary Clinton. Fleetwood Mac’s “Don’t Stop” was Bill Clinton’s 1992 presidential campaign song. Nicks held back tears when talking about the late Tom Petty, who was last year’s MusiCares recipient.